STEAM Exhibition curated by Nickova Behling (in collaboration with Mike Corlett), at James Hockey Foyer Galleries, University of Creative Arts, Farnham, UK, 2013. Nickova Behling initiated and fundraised the project ‘Exploration’ facilitating visual art projects for people with multiple and severe disabilities. The project was largely funded through the Arts Council Lottery Fund. Nickova worked in collaboration with artist and support worker Sue Sargeaunt, facilitating the projects at the Colebroke Day Services in Redhill , Surrey, UK. Building on the experience of ‘Phase 2 of Exploration’, Nickova was joined by visual artist Mike Corlett. 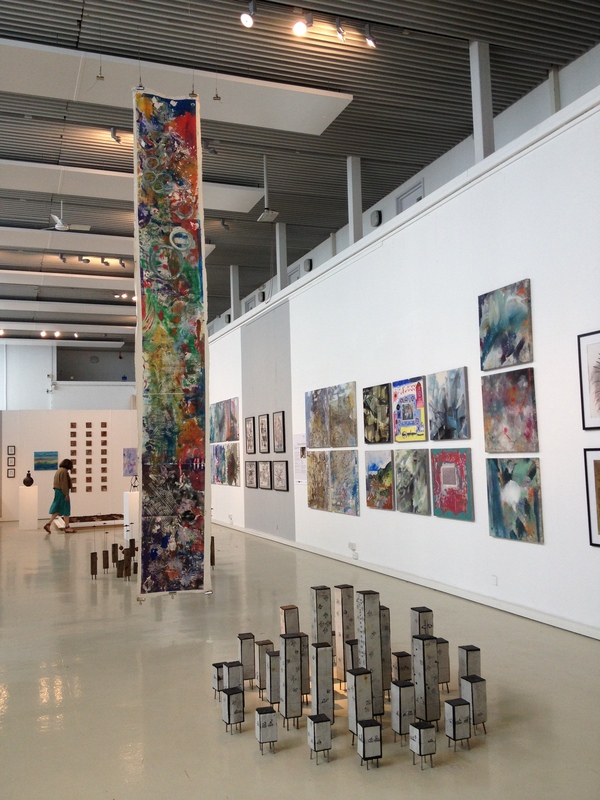 Nickova used her connections with the James Hockey & Foyer Galleries, UCA Farnham (UCA Farnham Gallery) to develop the project STEAM. 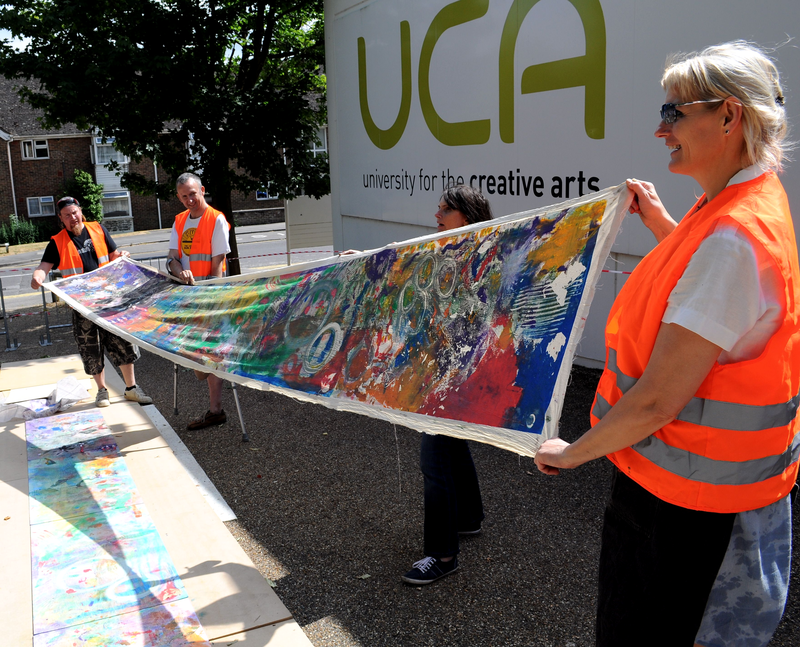 STEAM installed a public exhibition at the University of Creative Arts, and a private view inviting students, art facilitators, care support professionals and the public to attend an inclusive opening celebration. The attendees at the private view included the exhibiting artists, the exhibiting participants, their family, friends and carers, the gallery staff, volunteers and local residents. 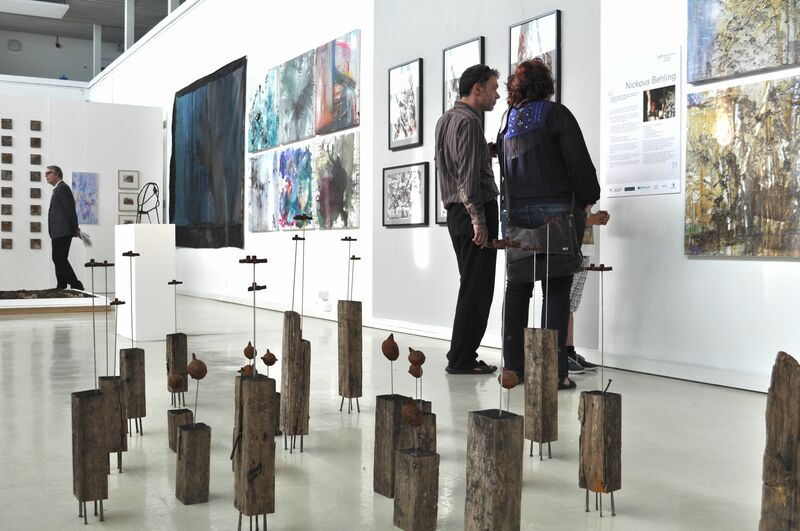 The work of artists and participants that was exhibited, served to demonstrate the possible outcomes of facilitation and collaboration and celebrate the relationship and mutual influence on creative practice, This was also explained and discussed in a public evening seminar and was attended by workshop participants and artists who were interested in working inclusively in the community. STEAM offered inclusive drop-in community workshops with additional invited participants from Colebrook Day Services, Redhill and Grace Eyre in Brighton. Participants of the workshops included people with learning disabilities and mental health issues who worked together with non–disabled people of diverse artistic experience and age (8 – 68 years). The resulting collaborative prints created during the STEAM workshops were also shown for the remaining weeks of the exhibition. STEAM has examined the significance of this type of facilitation work, viewing it as an expression of the creativity of both facilitators/artists and participants. In particular the project explored the idea of a creative dialogue, in which a mutual influence is exerted between facilitator and participant, shaping the creative process of each. The exhibition and overall project emphasised the value of process as an expression of creativity in itself, than simply the means to an end.